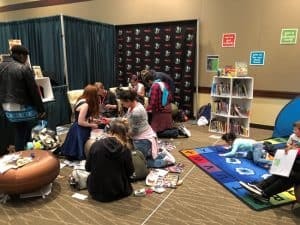 Emerald City Comic Con (ECCC), held March 1–4 in Seattle, expanded its programming this year to include a full day of professional development for librarians and educators, cosponsored by the American Library Association and several publishers at Seattle Public Library’s (SPL) Central Library. Another theme that echoed throughout the day was representation, how comics succeed at it, and what they can do better. Some opportunities that panelists shared for more active representation and potential for community dialogue included programming ideas like the Olympia (Wash.) Zine Fest for teens, San Diego Public Library’s Comic-Con book clubs, or Pop Culture Classroom’s new initiative to support incarcerated youth writing their own comics. Areas identified for growth included readers’ advisory and collection development. In the “Tools of Adversity” panel, creator Dana Simpson (Phoebe and Her Unicorn, Andrews McMeel, 2014) expressed a desire for more titles like the Moonstruck series (Image Comics)—in which one of main character’s pronouns are they/them—to be on library shelves, stating, “My dream is that anyone could be the main character of the story.” On the same panel, creator Nilah Magruder (MFK, Insight Comics, 2017) noted the vital role of the librarian because what is (or isn’t) on the shelves of a library has a lot of influence on what kids see and how they see themselves. SPL is noted for its readers’ advisory service Your Next 5, and it wasn’t surprising that recommending titles was a common thread throughout the panels and a vital takeaway for participants. Abby Bass, SPL adult services librarian, raved about the level of discussion and, as a result, “My TBR [to be read] pile has tripled!” Some recommended titles include: Jen Wang’s Prince and the Dressmaker (First Second, 2018); Simpson’s Phoebe and her Unicorn; Joe Kelly and J. M. Ken Niimura’s I Kill Giants series (Image Comics); Jody Houser’s Faith series (Valiant Entertainment, 2016); and Jeff Lemire’s Sweet Tooth series (Vertigo, 2010). As soon as the doors closed on this year’s ECCC, participants and attendees were already talking about next year. Kristen Thorp, youth services manager at Eugene (Ore.) Public Library, credited this event for creating “positives on both sides”—giving legitimacy to professionals attending ECCC and also bringing new users into the library. 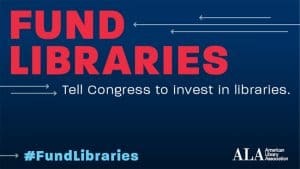 Gina Gagliano, associate director at First Second Books, was enthusiastic about further expanding next year to include additional focus on adult comics to increase participants’ own advocacy and comics knowledge. 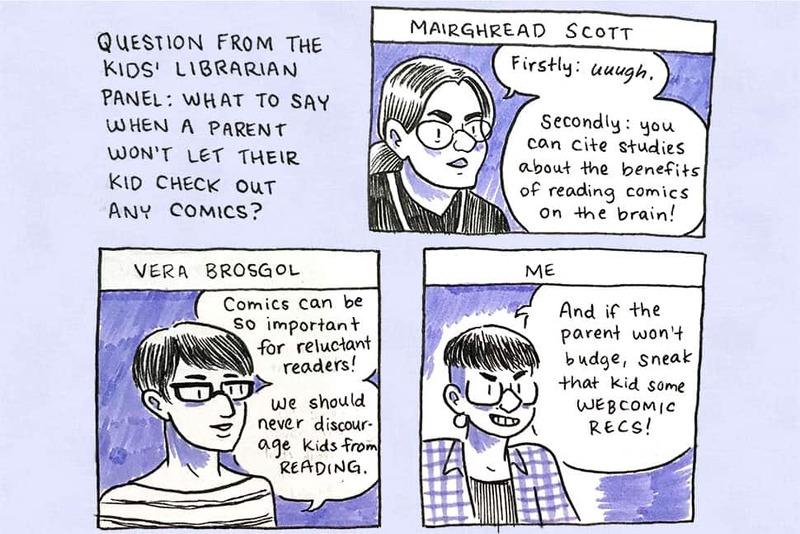 Other participants voiced a similar desire for continued professional development and how comics and games are vital, vibrant parts of the library’s focus on cocurated community content and engagement. AMIE WRIGHT is chair of school-aged services for the Edmonton Public Library in Alberta, Canada.